SG Budget Models (UEN: 53349226B) is a Singapore Modeling Agency that makes professional-grade models available at low-cost to small businesses and individuals in Singapore. You will find working with us to be quick, easy & affordable. For a quotation, call us at 6475-0624. Suitable for blogshops or amateur photographer looking for the right inspiration? Perfect for print ad or TV commercials with our experienced models. Joanna is a polytechnic graduate specializing in Child Psychology with prior modeling experience and has performed photoshoots in a variety of settings including advertisements and blog shops. With all that experience, Joanna is a natural in front of the camera. Joeis is a Straits Times Car Ambassador & models at glamourous corporate events, she is a spunky and cerebral tour de force and has modeled for brands such as Pepsi and Ferrari and features regularly in blogshops and major labels. We can easily see why Caroline was a Miss Singapore International Finalist with her figure and flawless skin, what we didn't understand is why she didn't win. Caronline is all of what the pictures show and more, she's friendly, charming and downright fun to be with. Jeanette is currently a freelance model and an aspiring actress. She has already played roles in a Visa Card commercial, online TV productions, as well as various short films. Jeanette is 22 years old and 170cm tall, her interests are in acting, singing and dancing. Tam is a 24 year old German Vietnamese. 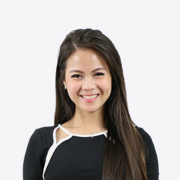 She's currently at the German European School Singapore and has worked as a TV presenter. Tam has got both photoshooting experiences and enjoys modelling in her free time. 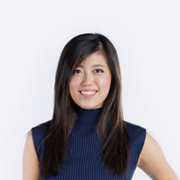 Qing is 21 years old and current a student at the National University of Singapore. She has been a promoter with various departmental stores, blogshop model, as well as a customer service officer. She's fluent in English, Mandarin, and does yoga as a hobby during her free time. We have now collaborated with another modeling agency to bring you affordable Japanese models. Whether your target audience is for a Japanese market, or whether you simply want to market your products using Japanese models, we now bring you affordable and beautiful Japanese models right here in Singapore. Simply call us, and give us a brief description of your needs, and we will give you a quotation price range you will find to be surprisingly affordable. 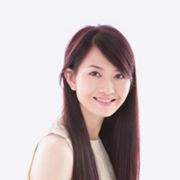 Ready to Hire a Model in Singapore? Tell us your business requirements, and type of model you hope to hire. We will ask for your company name and the nature of the assignment (tradeshow booth, store-front, or simply giving out pamphlets). Please also let us have your estimated budget. This will allow us to contact the models we think would be suitable for your assignment and confirm their availability. We will send you the latest profile pictures of the model (in case they changed their hairstyle etc). Upon your approval of the model, you would have to pay a 30 percent deposit. We are a group of young college graduates passionate about photography and modelling. We are particularly cost-sensitive, and understand the budgeting limitations of SMEs. Our models comprise our modelling friends as well as an extended network of models we work with. We have no need for billing goals and profit announcements. We do this simply because we are interested in modeling and photography. All of our models comprise Singaporean talents and some overseas folks. All models have the relevant age requirements to work as a model in Singapore. You may ask to view their identity particulars. A number of our models have also undergone professional speech training and are trained to interact with customers and respond to questions. Freelance Models are models with which we have no contractual agreements. They work with us on an independent contractor basis. If you pick a freelance model, we can still arrange the assignment for you, but our responsibility does not include supervising the model during the assignment. Depending on your needs, you may find freelance models to be slightly more accomodating, and many photographers pick them for their flexible hours. To engage a freelance model, simply call and tell us the Model Identification Code (MIC), embedded in the photo of the model. You will find being a model brings both monetary rewards and exciting experiences (whether in front of a camera or onstage on a catwalk) while allowing you to maintain a flexible working schedule. We are looking for individuals who are presentable, have fashion sense, and who are able to articulate themselves well (you may be required to speak in front of a camera). Above all, you should be genuine and friendly. Isn't Creating a Video Ad Expensive? Yes, and no. Video equipment is not cheap, a good camera and lens comes in at about $7k. We try not to skimp too much on equipment because, in videography, you get what you pay for. But equipment is a one-time cost. And our equipment has already paid for itself. The only cost left in producing a video is our time and our videography skills. Thus when we project the cost of a videography project, you will find the cost to be reasonably affordable.